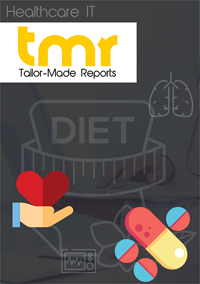 The global clinical trial management system market is mainly driven by the heightened occurrences of chronic diseases among people. The rise in the outsourcing of clinical trials is another reason, why this market is expected to flourish in the coming years. Moreover, favorable government initiatives are also anticipated to aid the growth of the global clinical trial management system market. In addition to this, the increasing cost of research and development activities and various improvements in the regulatory framework for patent laws and drug approvals shall help in driving the clinical trial management system market's growth in the future. Developing nations such as China and India are expected to increase the size of their clinical trial management system. Quality trials at low cost is required for regional industry growth. The increasing research and development activities in the field of life science and clinical research is the foremost factor driving the demand for CTMS. The growing investments from public and private sectors and the introduction of conducive government policies are paving way for increased number of clinical trials, which turn is providing a fillip to the market. However, the dearth of skilled professionals is hampering the growth of the market. Moreover, the high deployment cost of these systems along with budgetary constraints of small and medium-sized organizations is keeping the market from realizing its utmost potential.